Your home is most likely your most valuable asset. All the money you spend on upkeep and maintenance is an investment. Many perceive these regular repairs as a way to just sustain their home’s value. Did you know that new roofing can actually increase your home’s value? It is true according to a recent report. This past December, the National Association of Realtors and the National Association of the Remodeling Industry published their Remodeling Impact Report. They ranked new roofing as the No. 1 exterior improvement to add value to a home at resale. They also ranked new roofing as the exterior project with the most appeal to home buyers. It kinda makes sense, right? A roof’s condition is on every buyer’s checklist. Even if there are no leaks, a roof that shows signs of age, cracking and curling brings worry. In today’s real estate market, home buyers want to make a worry-free purchase. Who wants to buy a new home, and then almost immediately have to spend thousands on a new roof? The good news for homeowners is the report found a new roof will pay for itself. They report for a roof costing an estimated $7,600 the recovery was $8,000 at the time of sale. This is an amazing 105 percent cost-to-value ratio. It is extremely rare when something considered a regular maintenance item brings this kind of return on investment. Many projects don’t add any value to your home, especially in a competitive real estate market. Knowing which home improvements add value brings peace of mind. If you would like to talk more about new roofing, or need more information, please contact us. Do you need a new roof? Have you considered a steel roof? Do you want an upgrade to your property that will pay off for decades? 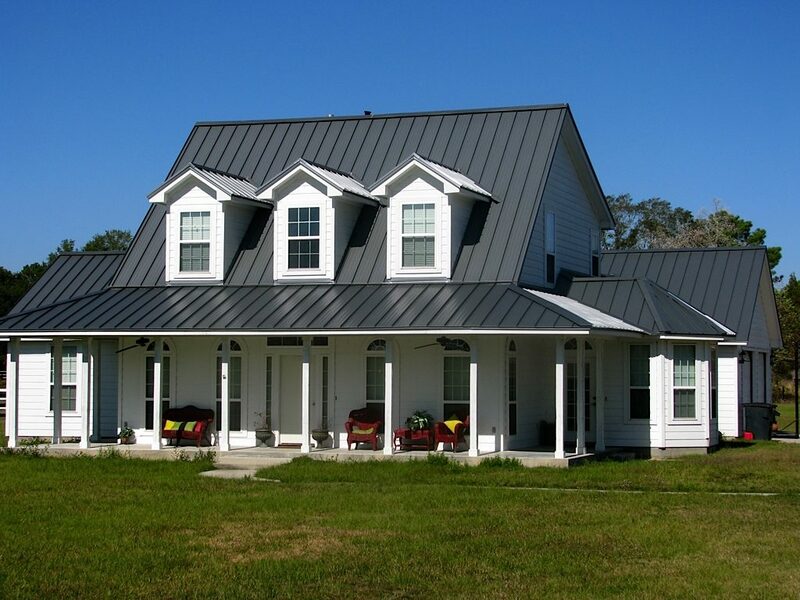 Steel roofs are a trending and popular choice because of their longevity, style, and the hassle free job they provide by protecting you and your home from the elements of nature. Also, steel roofs are more energy-efficient, bouncing off hot sun rays, instead of collecting the heat, as asphalt shingles do. Steel roofs are versatile. Their performance on a low slanting roof out performs other roofing material, such as asphalt shingles. Falling debris from trees, such as dirt, leaves, and branches, collect easily on a roof and work their way under asphalt shingles and lifting them and creating pockets. This can force up the nails used in asphalt roofing. The result is a perpetual cause of leaks which are often difficult to locate. Sometimes the leak is not found until after expensive and unneeded repairs. Steel roofs can be installed over the existing roof which saves time and costs, not only with the new roof but with removal and disposal of the old roof. If you have new construction, or the old roof needs to be removed to repair or replace the roof deck, the steel roof is installed on the roof decking. 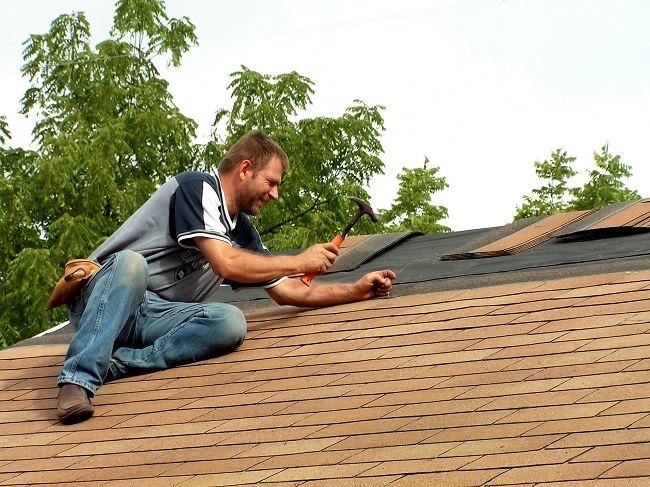 Roofity is the roofer of choice in the Dallas-fort Worth area carrying a wide range of nationally recognized brands. Roofity far exceeds all local and state codes of installation and backs their work with warranties. Free consultation regarding your roofing needs and FREE estimates are provided.